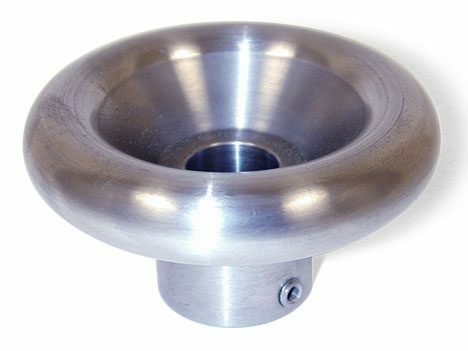 This 2.5″ steel handwheel mounts on the end of the spindle shaft and looks and works much like a sewing machine handwheel. 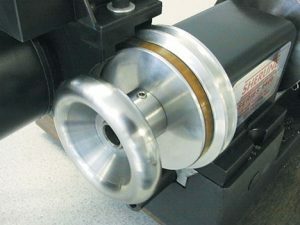 It allows the operator to quickly and safely stop a rotating spindle by hand. It also makes it easy to hand index the spindle when working on a part. A black oxide finish was not used because the smooth, machined surface offers a better feel on your hand. quickly stop the spindle or turn it by hand to tap a thread or inspect a part.